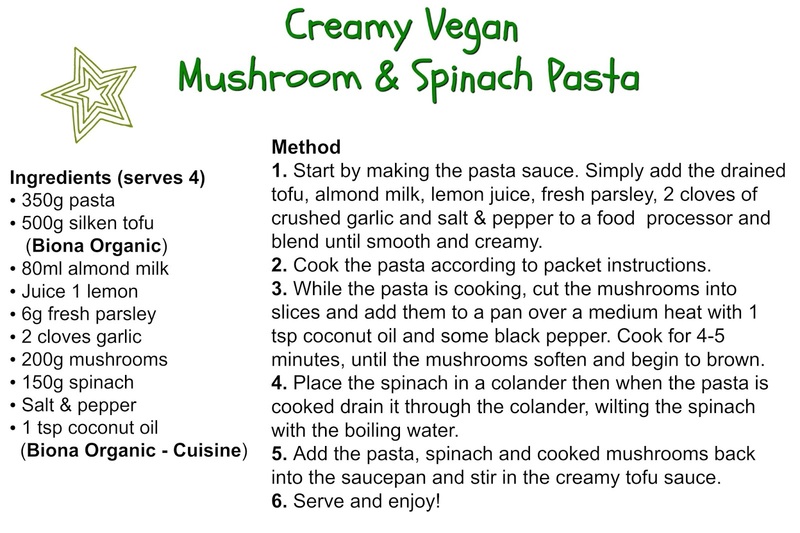 Sometimes there's just nothing better than a bowl of pasta with a delicious creamy sauce, but finding a dairy-free option can be a little tricky. 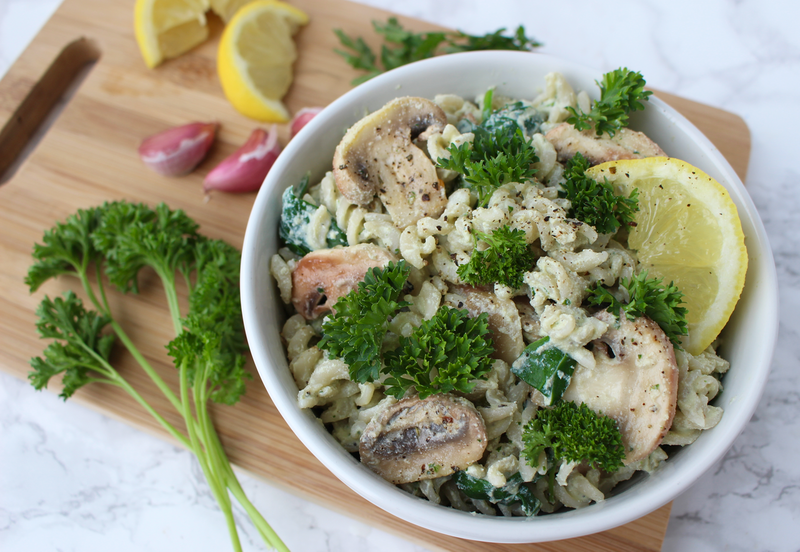 I'm bringing you a recipe that changes that and will satisfy your cravings for creamy pasta with none of the dairy but all of the incredible taste! This pasta sauce is made using silken tofu with Biona which blends amazingly well with lemon juice, fresh herbs, garlic and plenty of black pepper to create the dreamiest, high-protein sauce for an unbeatable pasta dish. 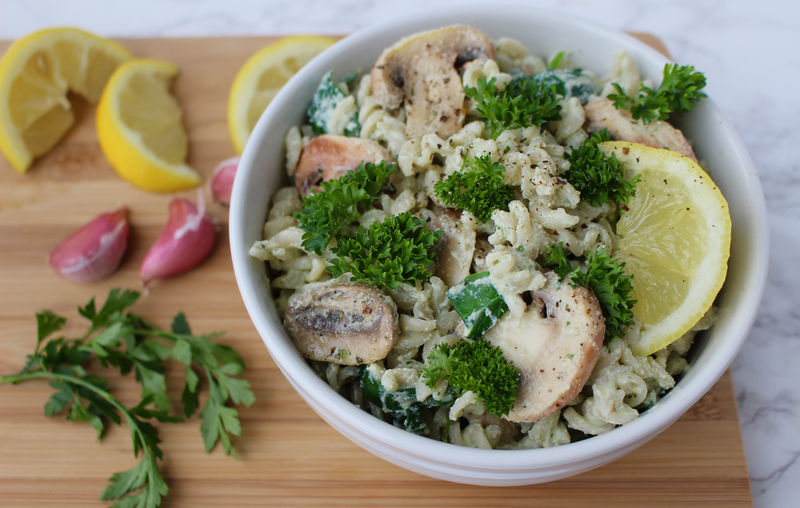 Add in the mushrooms and spinach for a balanced, nourishing, satisfying and scrumptious meal with plant-based protein, energy boosting carbohydrates and plenty of vitamins and minerals to make your body and your mind feel happy and healthy. As I mentioned above, Biona silken tofu is the star ingredient in this recipe! It's perhaps not an ingredient you'd think of to create a pasta sauce with but it works so well and adds a protein boost to a normally low-protein meal. Biona has been one of my favourite brands for a while now as I know they produce food I can trust - all their products are organic which means their farmers don't use any pesticides or chemicals on the crops they grow and only use sustainable farming methods. In this recipe I also used one of my favourite Biona products - their coconut oil cuisine which is completely odourless, meaning none of your food will have that coconut taste when you cook with it but you'll still reap all the benefits from this superfood! For the pasta, I used wholegrain rice pasta from Biona's sister brand Amisa but you could also use any of Biona's pasta range if you're not avoiding gluten - I hear their spelt pasta is particularly tasty. Biona products are available to buy on Ocado, Amazon, goodness direct and at many health food stores nationwide.